As well as finding water or other underground features such as gas mains, cables and utilities (and breaks in them), dowsing can be used to locate lost items, pets or people, improve health by identifying food intolerances, survey archaeological sites in advance of more expensive geophysical surveys, and map the mysterious meridians of ‘earth energy’ that flow through the landscape, connecting ancient sites like stone circles and old churches along invisible ley lines. In fact, dowsing is useful in all areas of human endeavour, from the practical site dowsing work where the emphasis is on the tangible result, right through to the more esoteric end of the spectrum where a dowser might be employed to clear ghosts from your home and check your aura for geopathic stress. 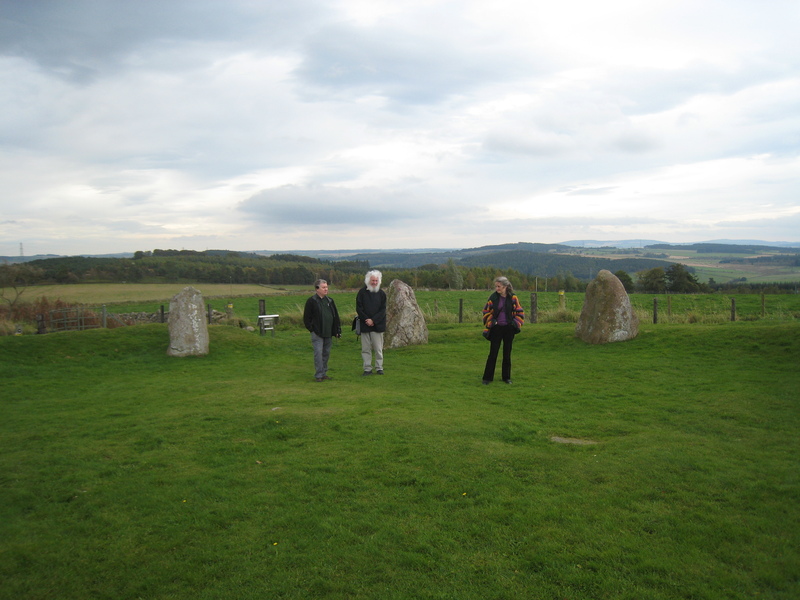 More and more people are rediscovering this ancient art and finding new applications for it in our hectic modern lives.” Taken from the book “Dowsing Magic” by Grahame Gardner (whose website can be found here) which is a great introduction to the subject. Letter to Robin – an almost seminal instruction manual. Joey Korn’s site. (From the USA). Susan Collins (from Canada) is past President of Canadian Dowsers and was “Dowser of the Year” in 2006. David Cowan is from Scotland. He is a very experienced dowser. 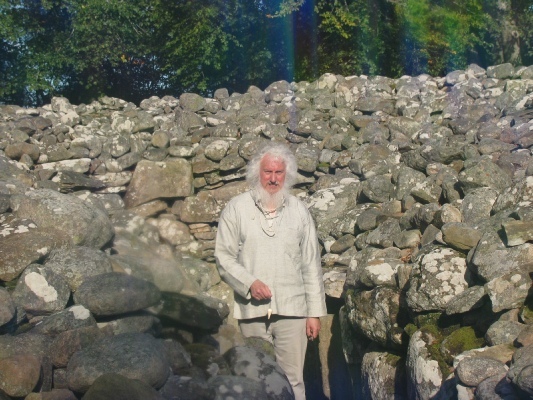 His research and knowledge of leys, earth energies and standing stones is outstanding. Elizabeth Brown is also a professional dowser, tending to specialise in health. 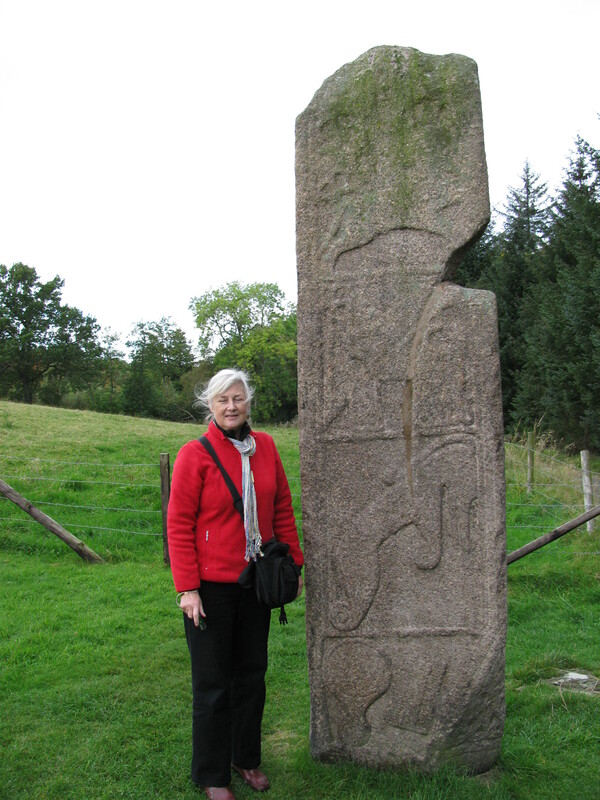 She wrote a very good book called, “Dowsing – The Ultimate Guide for the 21st Century”. The British Society of Dowsers website. March 29th 2018. Their website is changing. It’s taking a while. 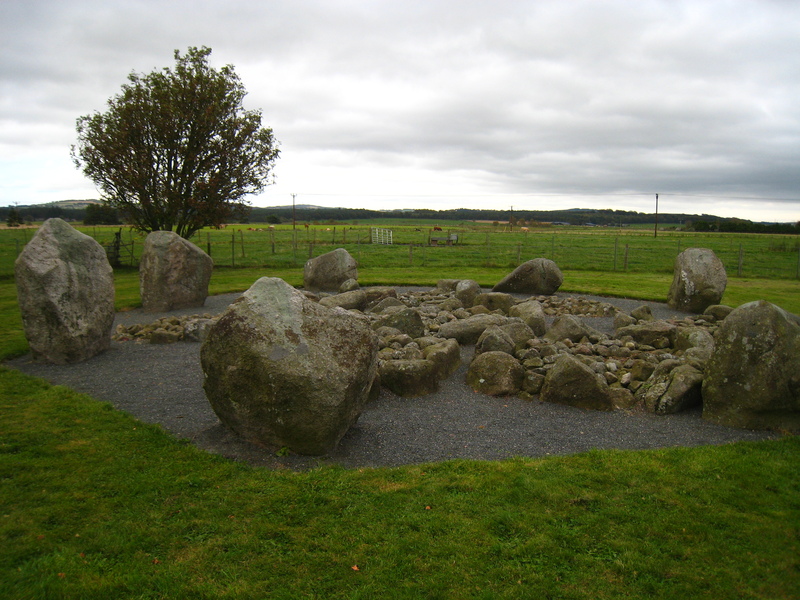 There were links to their (open) Forum- a great place to look if you were interested in dowsing…it was full of information, advice, experiences- and a few book reviews. For reasons beyond my understanding, the BSD recently closed down the Forum without notice. I hope they reconsider. The BSD Forum is now dead. 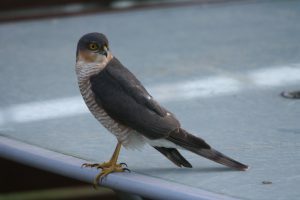 But, thanks to Grahame Gardner (see above) it can be found at a different site. All the threads and posts from when it was the BSD Forum are there. And anyone can view or join. The above link opens in a new tab. The Canadian Society of Questors has a website here and the Canadian Society of Dowsers has their site here. In Ireland the website is this one. 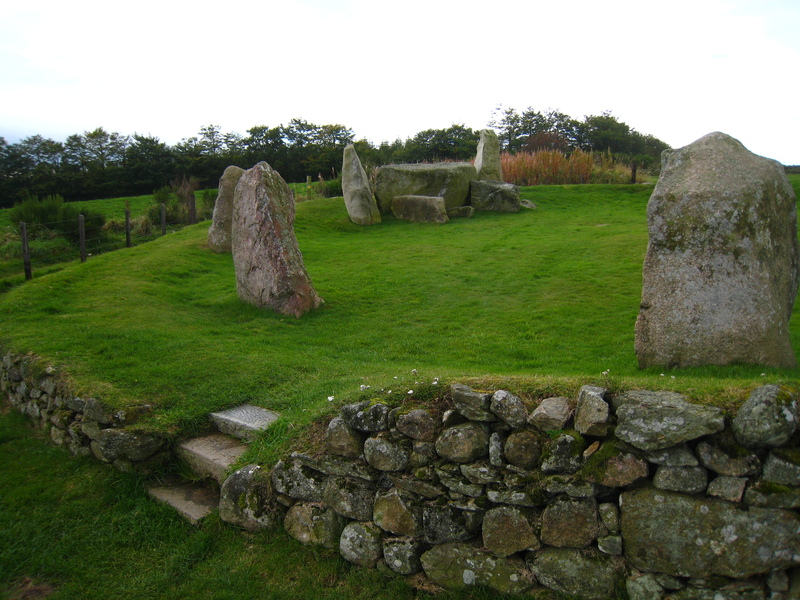 Earth energies, labyrinths, sacred spaces, geopathic stress- all can be read about at the Geomancy Group- which is largely, but not exclusively, UK based. Here is a YouTube video made some years ago by Elizabeth Lloyd Mayer, author of “Science, Skepticism, and the Inexplicable Powers of the Human Mind”. She tells a story here, illustrating dowsing in action. The video is about 10 minutes long but well worth watching. 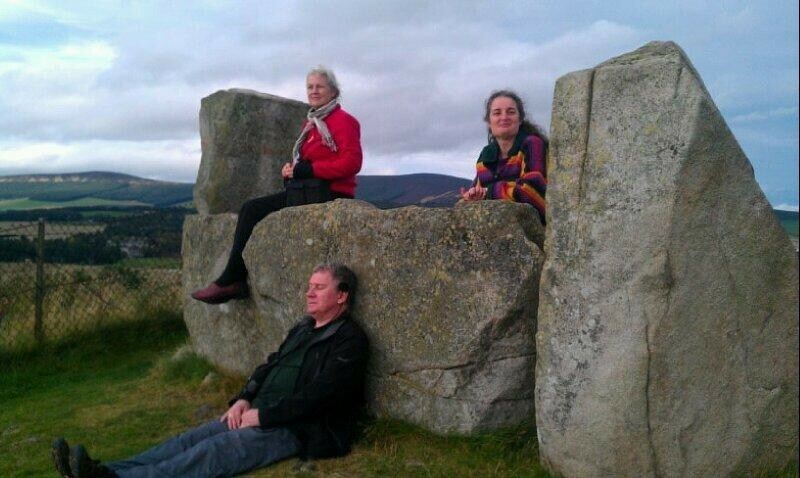 In about 2011 we had Grahame Gardner, past president of British Society of Dowsers and Susan Collins, past president of Canadian Dowsers stay with us (that’s Jacquie, my partner, and me) for the weekend when we lived in Moray. 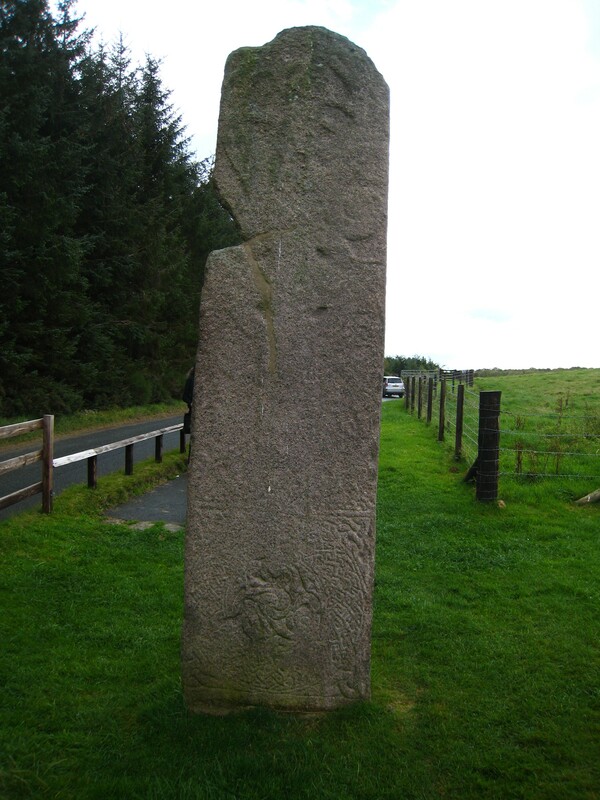 We visited many sites across north east Scotland. Here are 23 photos showing some of what we saw. 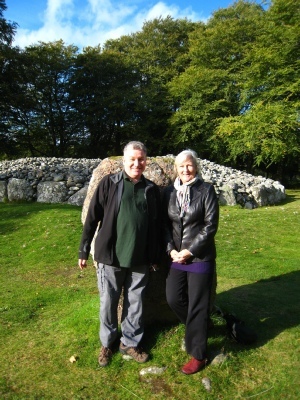 Two professional dowsers- Grahame Gardner and Susan Collins at Clava Cairns. 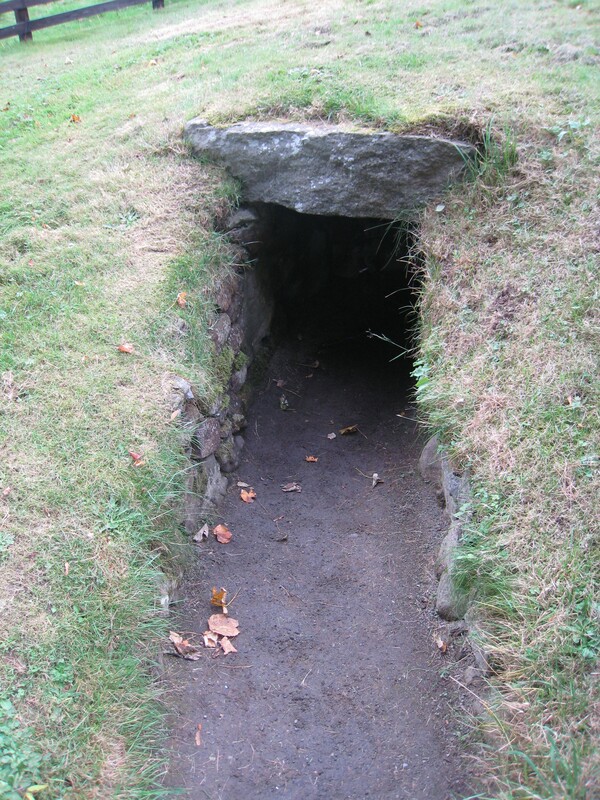 This site is close to Culloden, near Inverness and has a disturbing atmosphere. I think. 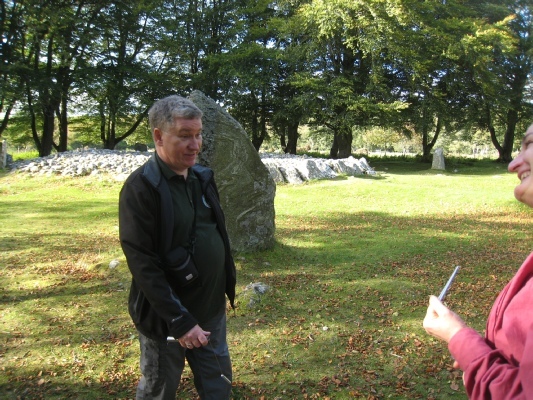 Me among the stones at Clava Cairns, dowsing with a pendulum. 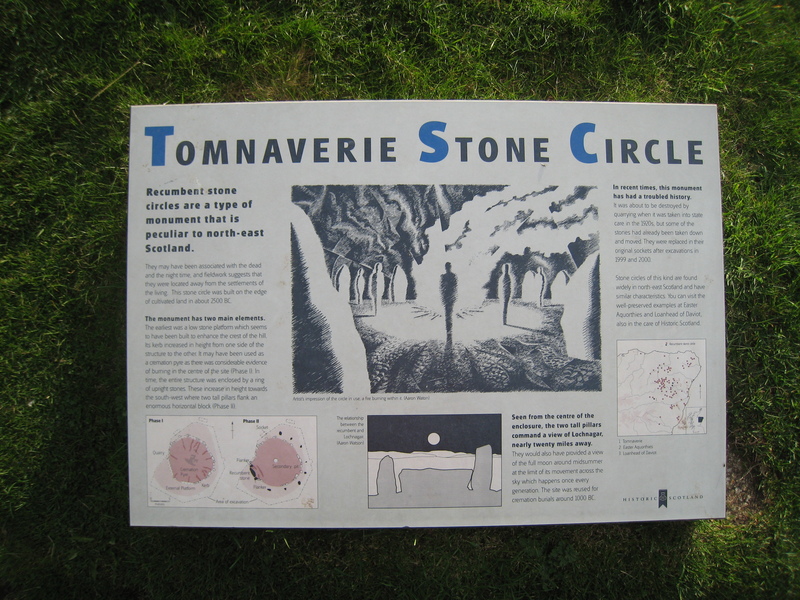 Dowsing at Tomnaverie Stone Circle....which was probably built over 4500 years ago. 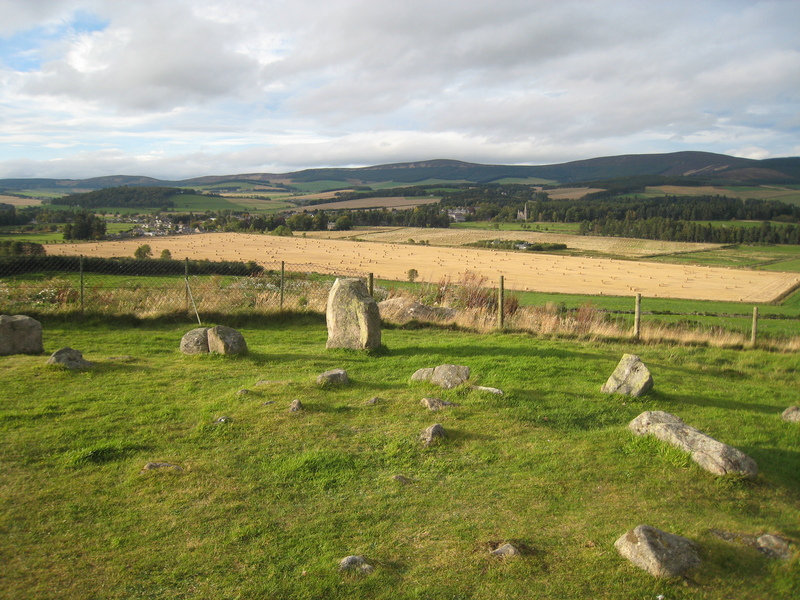 Part of the view from Tomnaverie Stone Circle. 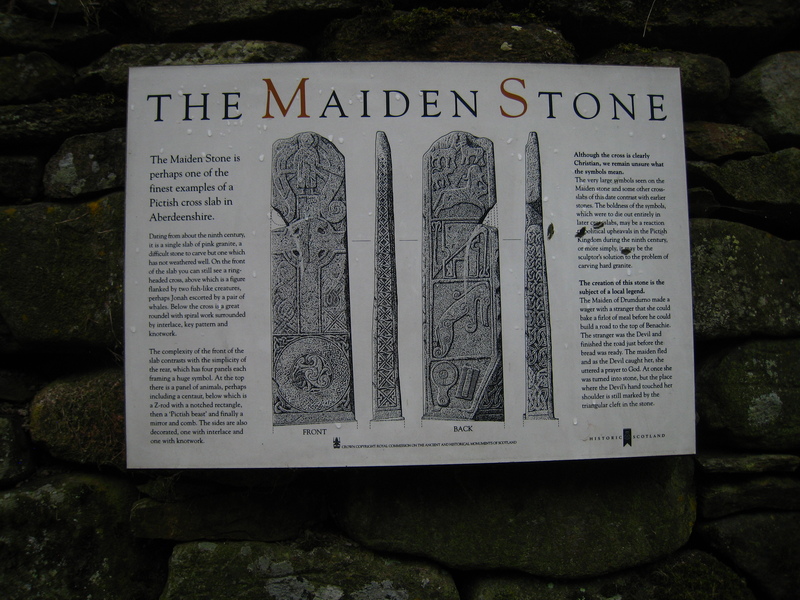 Susan in front of the Maiden Stone. 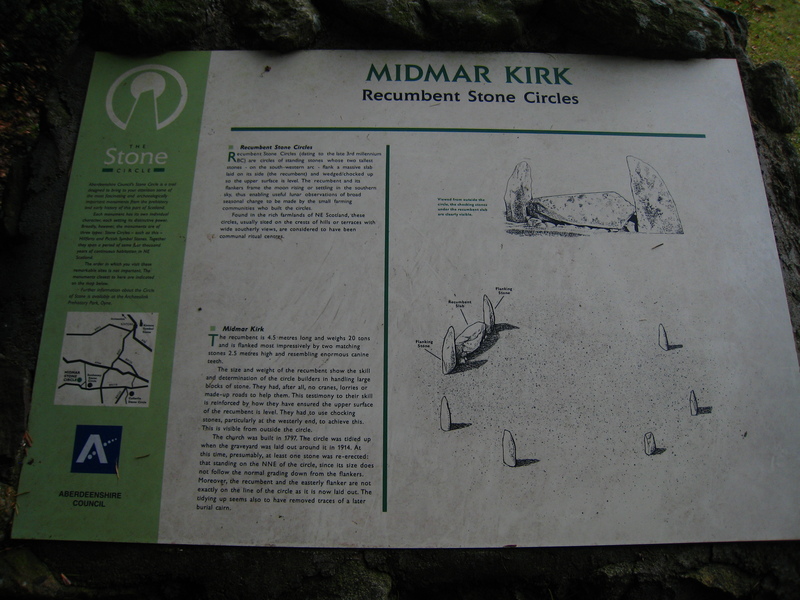 Midmar Kirk. 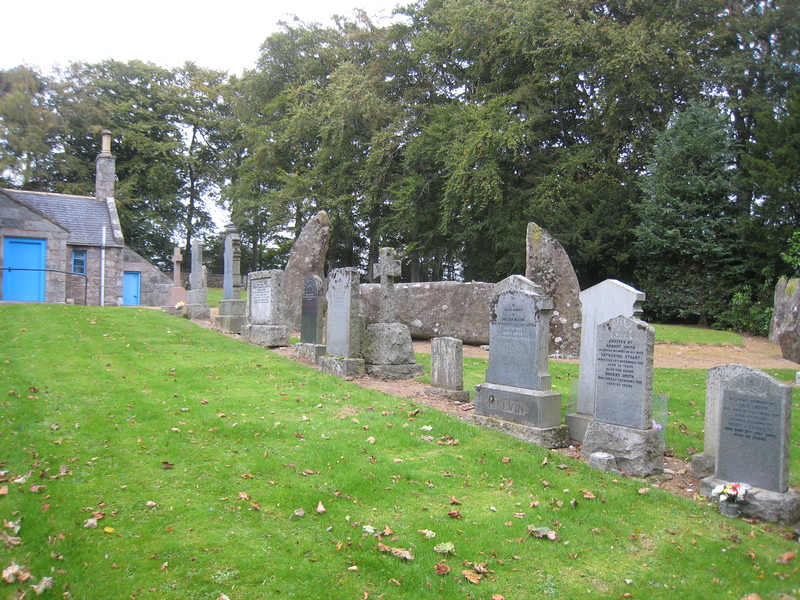 The church was built at the end of the 18th century, deliberately right next to a (probably Bronze Age) recumbent stone circle. The kirk in the background. 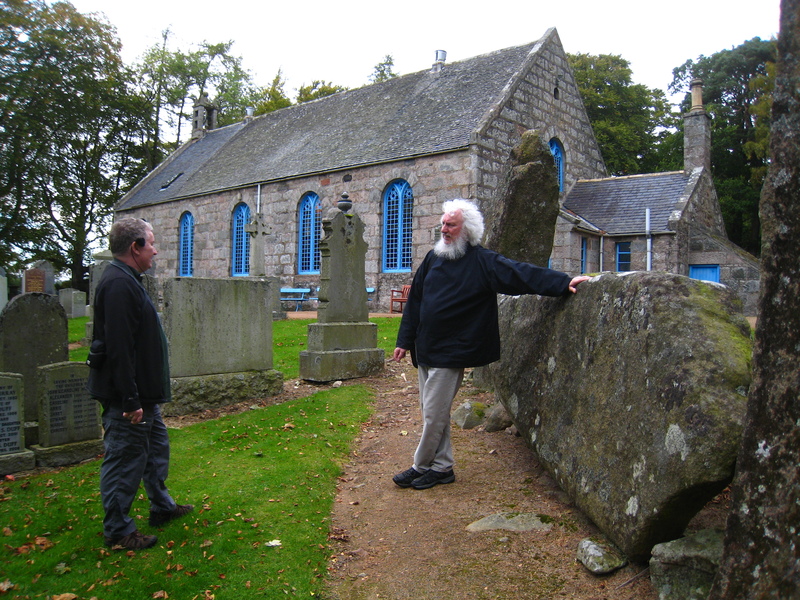 Grahame (wearing headphones as he was recording a podcast) and me leaning against a large stone. I am carrying a (wooden) pendulum; Grahame has his aurameter. 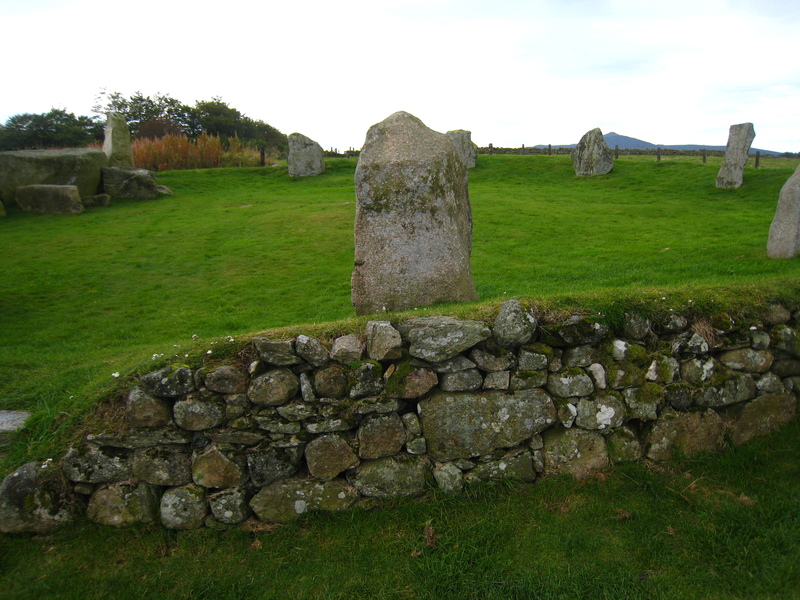 The recumbent stone next to the church. 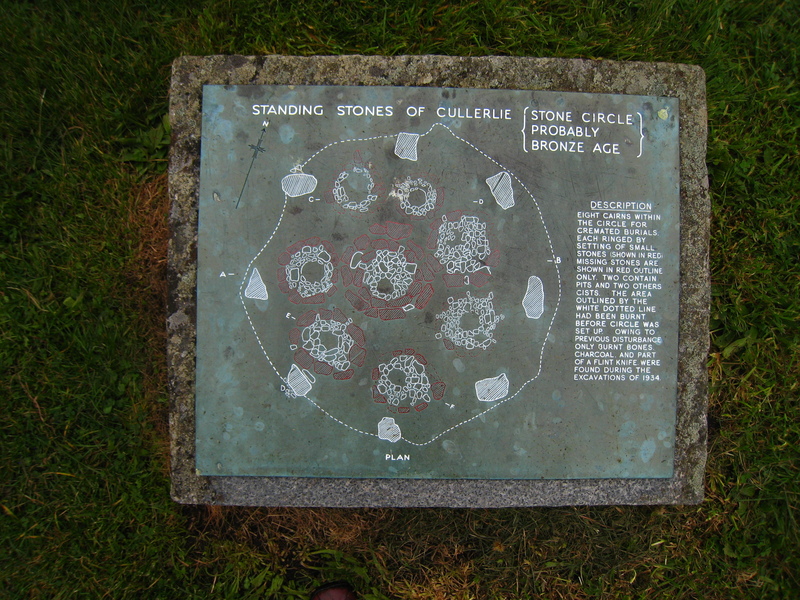 Cullerlie has complex energy vortices in, around and leading up to the stone circle. 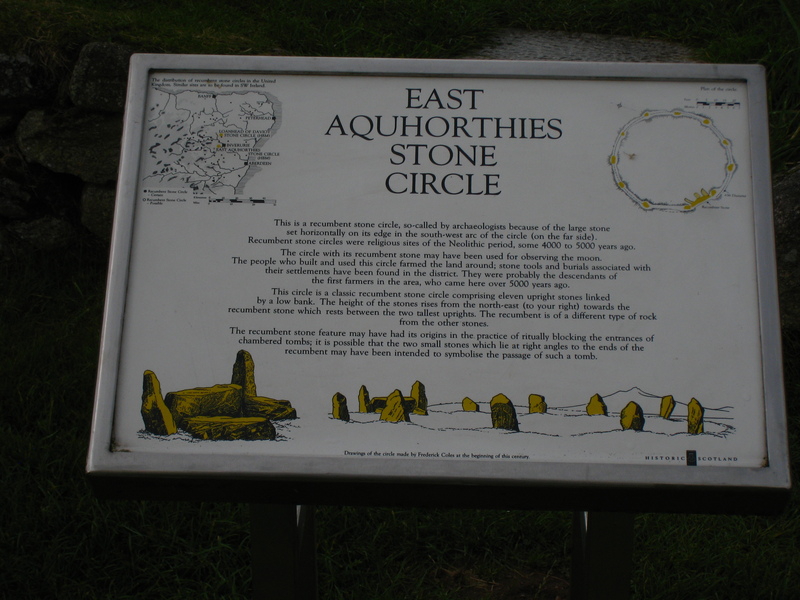 Pensive people in Aquhorthies Stone Circle. 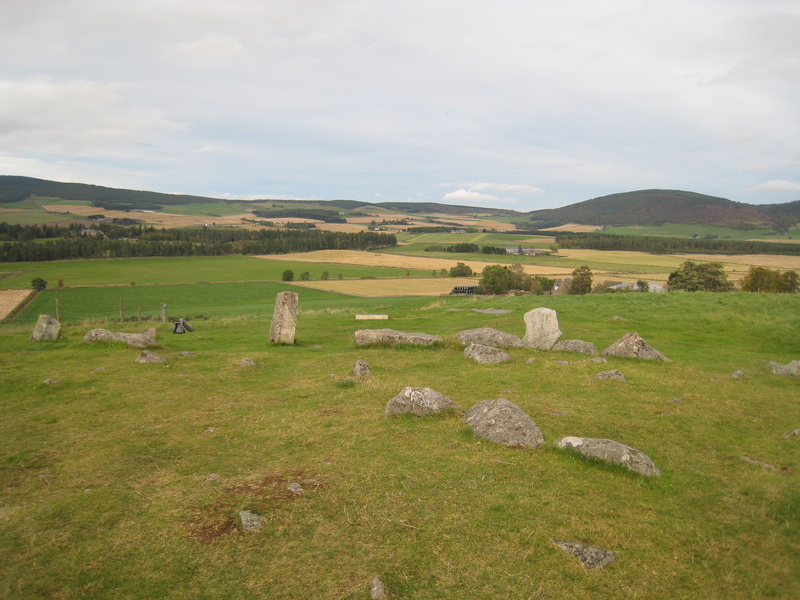 There has been some research into whether these are "singing stones"- where the stones seem to focus sound into the centre of the circle. 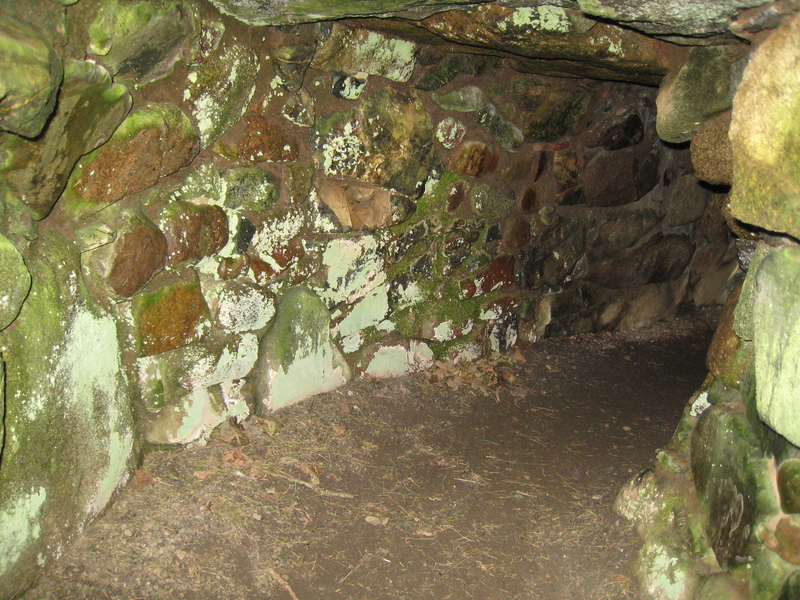 A souterrain- at Culsh in Aberdeenshire. 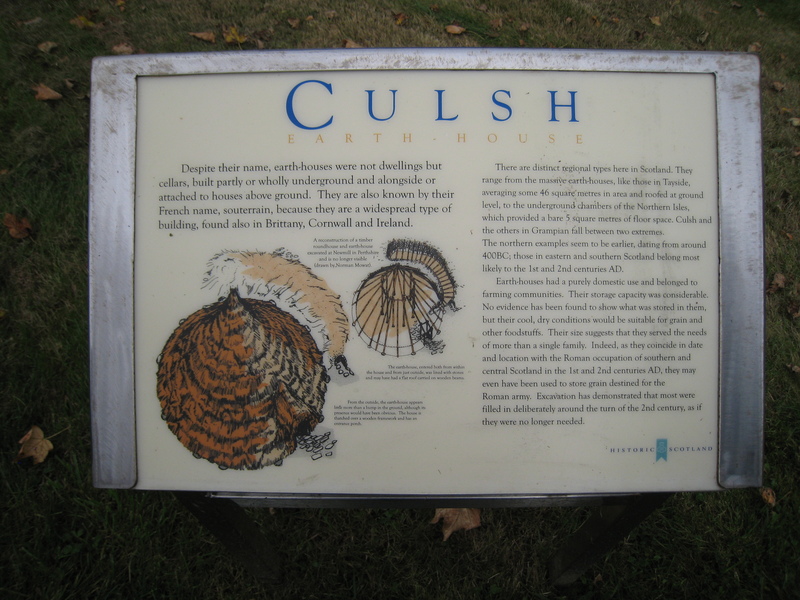 Not an easy way to get into the earth-house at Culsh. 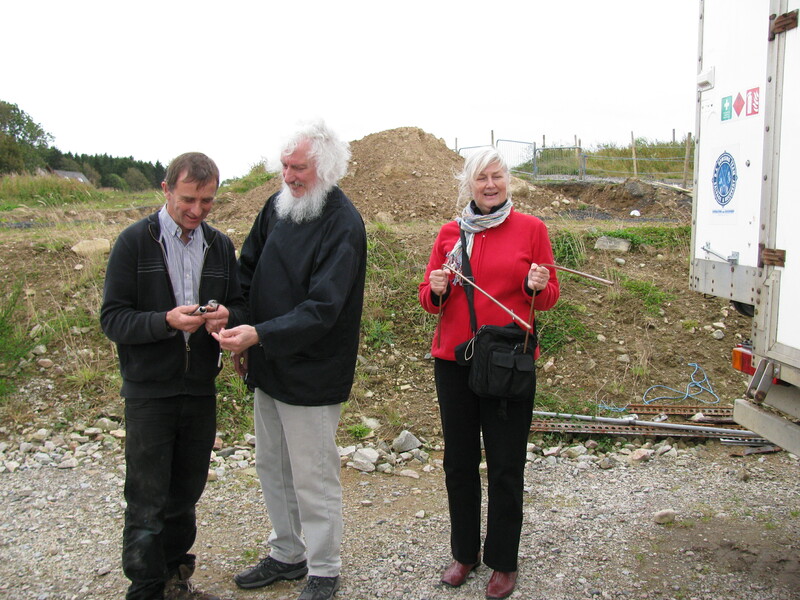 Me showing Allan Brownie my aurameter while Susan tries out Allan's dowsing rods. (Not many dowsing rods are this large...these copper ones are home made. And very heavy. Each to their own...) Search for "BA Dowsing team" to see the remarkable work done by Allan and his team.